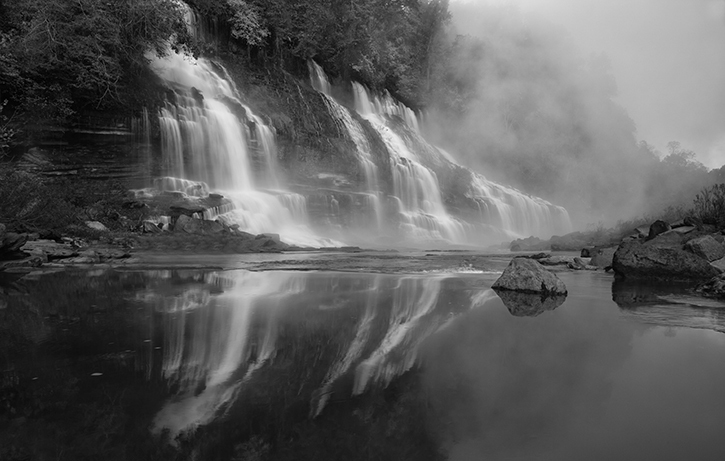 Rock Island State Park is centered around a peninsula created by the confluence of the Caney Fork River and the Collins River and extends downstream to the headwaters of Center Hill Lake. The rugged beauty of the park includes the Caney Fork Gorge below Great Falls Dam. These overlooks are some of the most scenic and significant along the eastern Highland Rim. Great Falls is the largest cascading waterfall in Tennessee. It is located below the 19th century cotton textile mill that it powered 100 years ago. Downstream is Twin Falls which is a cascading waterfall that spills down from an underground cavern into the Caney Fork River. I rented one of their beautiful cabins the first weekend in November and had a great weekend of photography. Every morning we were greeted with foggy conditions and beautiful fall colors. The park is only a couple of hours southeast of Nashville and well worth a visit. 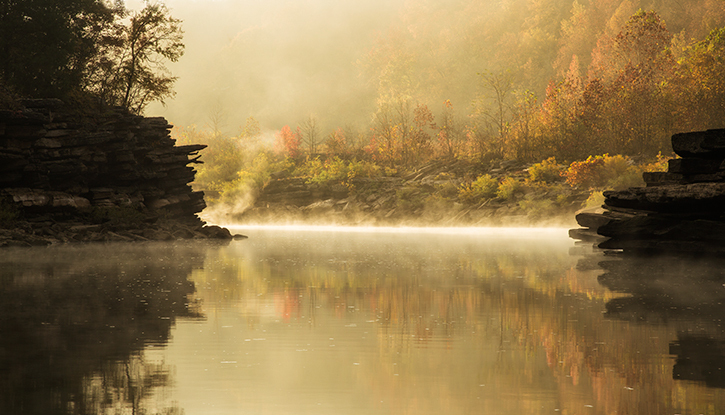 This entry was posted in Uncategorized and tagged Autumn leaf color, Caney Fork River, Center Hill Lake, Collins River, fog, Photography, Rock Island State Park, sunrise, Tennessee, Twin Falls on November 15, 2013 by rlowery711.